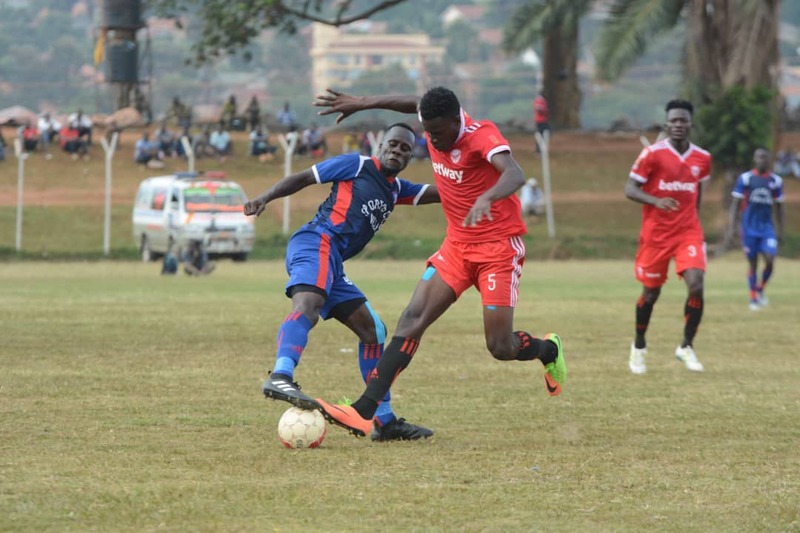 NAMBOOLE – SC Villa will host Ndejje University on Tuesday afternoon in a game that may have adverse consequences on the future of both side in the top flight. At the start of the day, only three points separate the two sides who have been struggling at the wrong end of the table all season. For Ndejje, maybe it was expected but Villa will very much want to secure their Premier League status as soon as possible. Ndejje currently occupy the third relegation spot with 24 points from 26 games while Villa who are the record league champions with 16 title, are only a single spot better off as compared to their Tuesday opponents. Villa’s tally of 27 points after 26 games is the worst they have had at this points, in ages and heading into such a game, fighting for their top tier status is not something they are used to. “It is a very important game for our club. Said Villa coach Douglas Bamweyana ahead of the game. “It is unfortunate that we find ourselves in the position we are currently in and that Tuesday’s game has huge implications to our season. “We have worked hard and we are prepared to go all out and try to win all three points. “The good thing is that Ndejje can’t seem to play away from home and it is something we want to exploit. Going into the game, Bamweyana has a near to full strength squad to choose from. First choice goalkeeper Saidi Keni returns after missing the 1-1 draw away to Express has overcome a joint pain as is ready to feature. Top scorer Bashir Mutanda who also missed last week’s game due to abdominal pains is fully fit now and it remains to be seen if he gets slotted into the starting team straight away. The visitors will look to Francis Onekalit, Anwar Ntege and Emmanuel Wasswa for inspiration. This will be the third ever meeting between SC Villa and Ndejje University. The first two have resulted into a SC Villa win and a draw. The victory for Villa came in March last year during a Cup game while the draw was when the two sides met in the league earlier this season. SC Villa head into the game having won only one of their last 7 league games (D3 L3). However, Bamweyana’s side have lost only one of their last 5 home League games (D2 L2). For Ndejje they are currently enjoying their longest unbeaten run in the top flight as they have gone four games minus tasting defeat (W2 D2). However, their away form has been horrible the entire season, winning only one of their 13 games on the road so far (D3 L8). The only win on the road came against Maroons (1-0) on February 12th. -Kirinya JSS vs Paidha Black Angels.